A Message From Your Eye M.D. Age-related macular degeneration (AMD) is a chronic eye disease associated with aging that gradually destroys central vision. It’s one of the leading causes of legal blindness and vision impairment in older Americans. 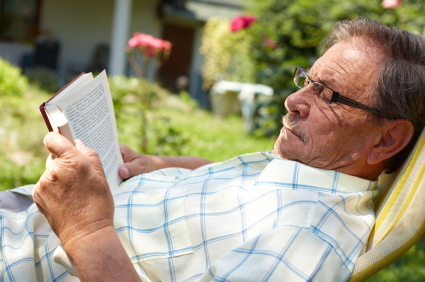 The “dry” form of macular degeneration occurs in approximately 90 percent of those with AMD. Studies have found that high levels of zinc and antioxidants play a key role in slowing the progression of dry macular degeneration in advanced cases. The “wet” form occurs in only 10 percent of those with AMD, but it accounts for 90 percent of all severe vision loss from the disease. “Wet” AMD can be treated with conventional laser treatment and photodynamic therapy (PDT) and certain medications called anti-VEGF treatments. PDT is used to reduce the risk of moderate to severe vision loss in patients with a few specific forms of “wet” macular degeneration. Anti-VEGF drugs, which are delivered directly into the eye by injection, block VEGF (vascular endothelial growth factor), the molecule that promotes the growth of troublesome abnormal blood vessels in “wet” macular degeneration. Early detection and treatment is the best defense against losing your vision. If you are at risk for macular degeneration, see your Eye M.D. for a complete eye exam at least every one to two years. If your vision has been reduced, you do not have to live a lonely and isolating life. Low vision rehabilitation resources are available to help you preserve your quality of life and maintain maximum independence. See your Eye M.D. for these resources. An Eye M.D. is an ophthalmologist — a medical doctor who provides the full spectrum of eye and vision care. From eyeglasses and contact lenses, to medication and surgery, your Eye M.D. will help you keep your sight for life.